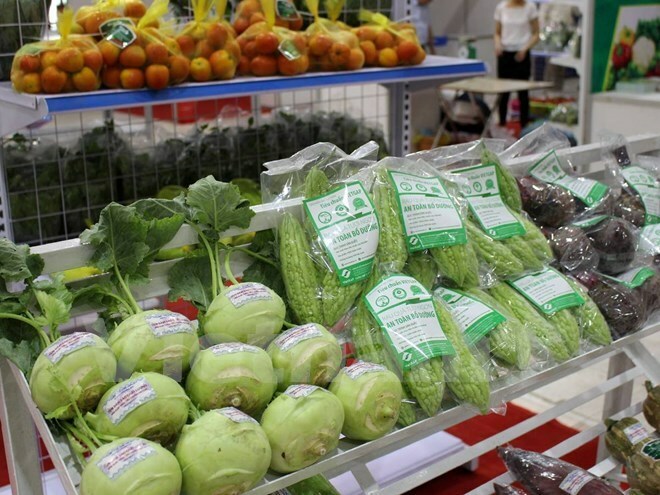 Hanoi (VNA) – The Vietnam Trade Promotion Centre for Agriculture (VTPCA) will open a safe food market at No.489 Hoang Quoc Viet st., in Cau Giay district, Hanoi twice every month. The safe food market is scheduled from Friday to Sunday on the second and the last weeks of the month. The first market takes place on May 27-29. It features about 100 booths selling safe agricultural products, such as seafood, fruit, vegetables, coffee and milk, with clear origin. They are produced by verified producers with quality control certificates or those applying VietGAP standards. According to VTPCA Director Dao Van Ho, the centre will also coordinate with the National Agro-Forestry-Fisheries Quality Assurance Department to take samples of all products sold at the market for safety testing. The move aims to provide visitors with knowledge on residues of pesticides, preservatives and other banned substances in foods.